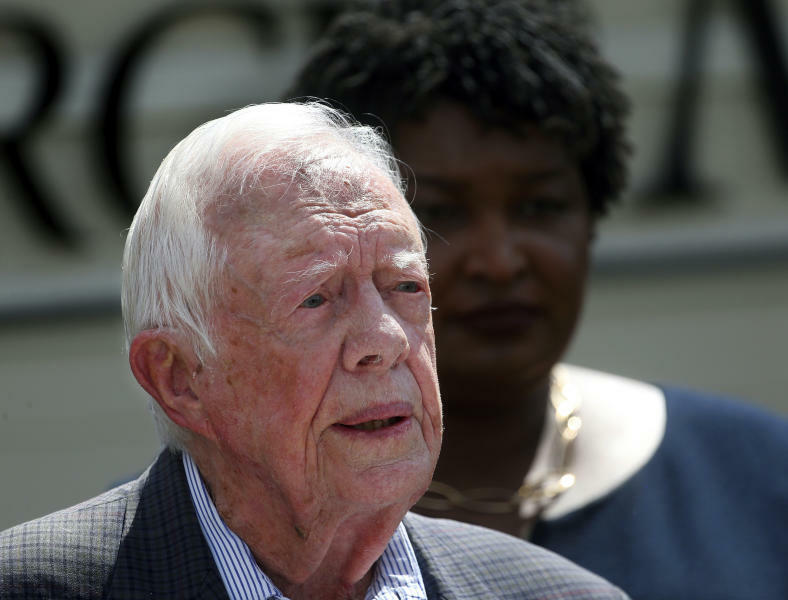 ATLANTA (AP) — Nearly four decades after voters unceremoniously rejected then-President Jimmy Carter's bid for a second term, the 39th president has reached a milestone that electoral math cannot dispute: He is now the longest-living chief executive in American history. It's yet another post-presidency distinction for Carter, whose legacy since leaving office has long overshadowed both his rocky White House tenure and the remarkable political rise that led him from his family peanut farm and a state Senate seat to the governor's mansion and his unlikely presidential victory in 1976. The center's decades of public health advocacy, election-monitoring and conflict resolution around the world have redefined the role of former presidents, who before Carter often retired to relative obscurity. 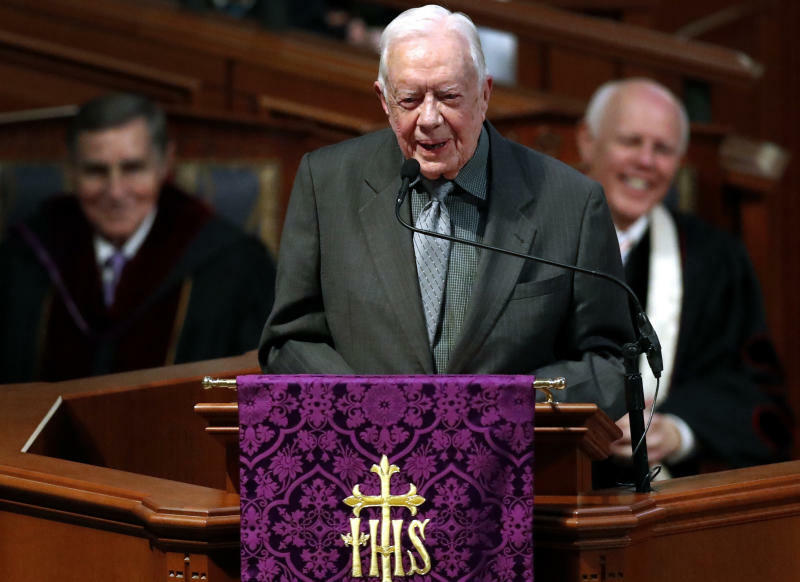 "We at The Carter Center sure are rooting for him and grateful for his long life of service that has benefited millions of the world's poorest people," Congileo said. Seemingly downplaying his political career, Carter has for years characterized the center's work as his defining professional achievement — though, of course, having been a U.S. president is what allowed him the stature to establish the center. Rather, he continued, "Teaching, writing and helping The Carter Center evolve ... seem to constitute the high points in my life." And the man who once held the U.S. nuclear codes, forged a historic Middle East peace deal at Camp David and tried to manage a hostage crisis that sealed his one-term fate has a simple answer whenever he's asked to recount the best or most significant decision he's ever made: "Asking Rosalynn to marry me." As for what's next, Carter has at least one more accomplishment on his mind, pointing often to The Carter Center's long-running effort to eliminate Guinea worm disease, a parasitic infection attributed to poor drinking water. "I'm hoping that I will live longer than the last Guinea worm," he said in a British television interview in 2016. "That's one of my goals in life, and I think I have a good chance to succeed."